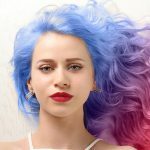 Want to look “kool” by dyeing your hair in different hues? Don’t want to worry about the color permanence or the harmful chemicals usually present in hair dyes? 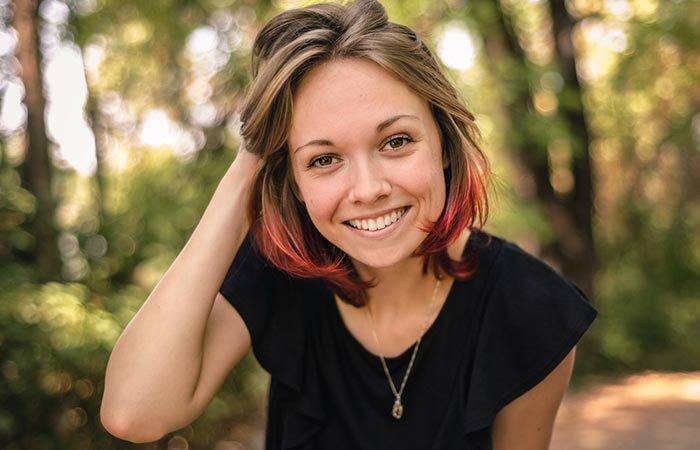 Are you looking for a hair dyeing method that is easy, economical, and effective? If you answered yes to all these questions, you need to try out the Kool-Aid hair dyeing method. The Kool-Aid hair dyeing method is the process of coloring your hair with Kool-Aid drink mix powder. You can dye all your hair, go for a streaky look, or just apply it to the ends. This hair dyeing method is so safe that you can try it out on kids as well. 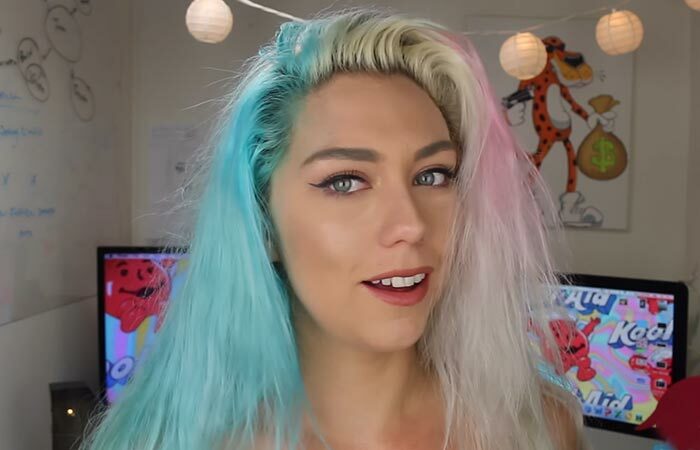 I’m sure you are curious to know how you can possibly use a drink mix to color your hair. After all, it does sound ridiculous. Well, you’ll be happy to know that it’s quite easy. 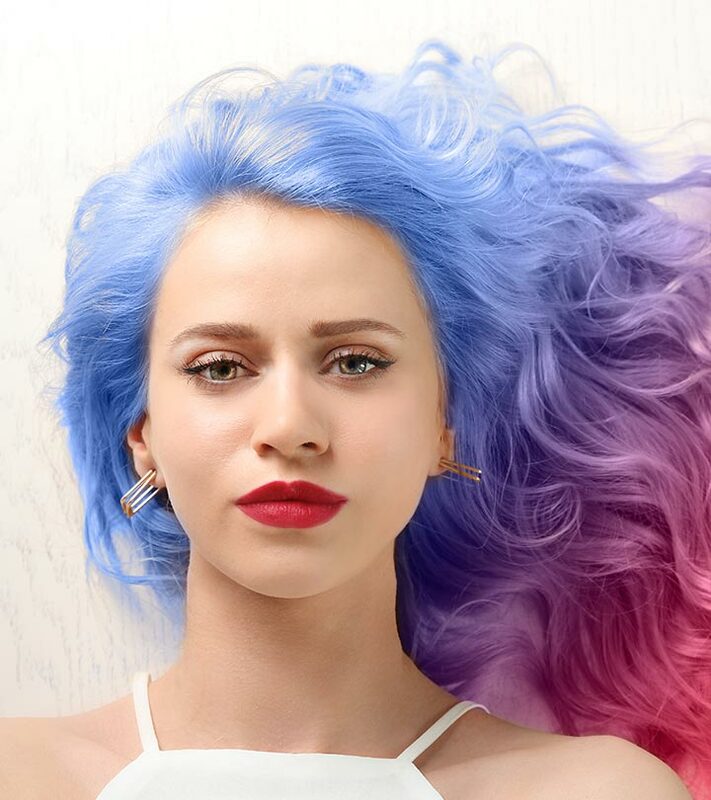 Just follow the step-by-step tutorial below to get the colorful hair of your dreams! Wash and dry your hair thoroughly before you start so that the color gets absorbed easily. Put on your gloves to prevent your skin from getting stained. Drape an old cloth or towel around your shoulders to avoid staining your clothes with hair dye. Artificial sweeteners can make your hair sticky and may even cause eye/skin irritation. So, make sure you use an unsweetened drink mix. Depending on the intensity of the color you want and the length and volume of your hair, decide the quantity of the Kool-Aid drink mix you want to add to the application mixture. You can also experiment with different flavors to obtain unique hair colors. 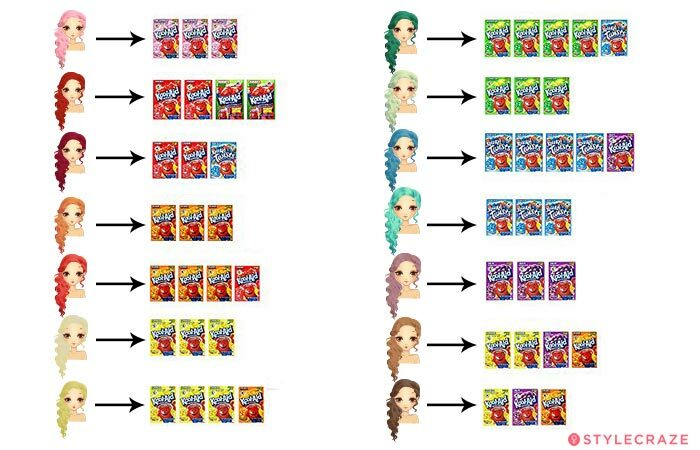 But, keep in mind that Kool-Aid colors look different on different natural hair colors. 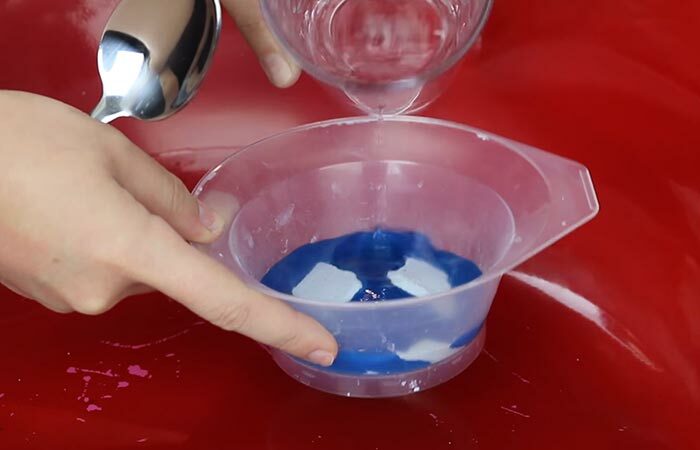 Empty the Kool-Aid powder into a mixing bowl, pour some water, and add a few drops of conditioner to it. Mix the ingredients well until you have a smooth paste. Before applying the mixture to your hair, smear your neck, hairline, ears, and forehead with Vaseline to avoid staining. With a hair coloring brush, start applying the mixture from the roots and work your way down. Once you are done applying the mixture, comb your hair one last time to spread the color evenly. Cover your hair with a shower cap and leave it on for around 30-45 minutes (or more, depending on how intense you want the color to be). Remove the shower cap and rinse the mixture off with cold or lukewarm water. DO NOT use a shampoo to wash your hair. Blow dry your hair and flaunt your new hair color. Part your hair according to where you want to place your streaks. Apply the mixture on the sections of hair that you want to highlight. Start from the roots and work your way down. Wrap the dye sections in aluminum foil and leave it on for 20-30 minutes. Remove the foil and rinse your hair. Blow dry your hair and enjoy the streaky look! Add Kool-Aid drink mix sachets to boiling water and mix well. Remove the mixture from the heat and pour it into a bowl. After the mixture has cooled down, dip the ends of your hair into the bowl and let them sit in it for 15-30 minutes (or more, depending on the intensity of color you want). Remove your hair from the bowl and pat it dry with an old towel. Once your hair has dried completely, rinse it well and show off your new look. 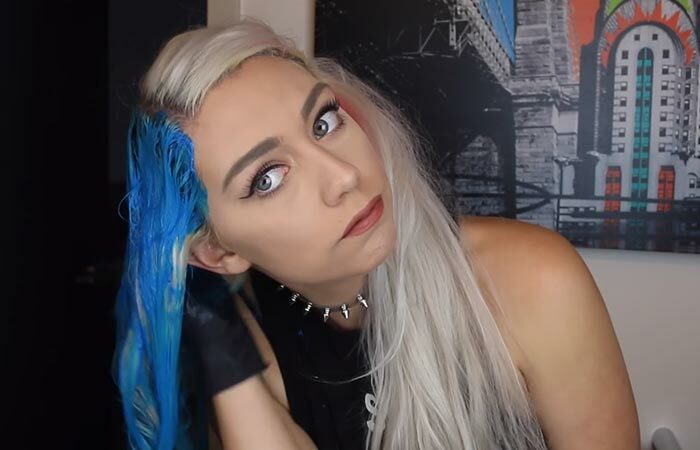 I’m sure you’re thinking that coloring your hair this way is a bit too good to be true. Well, to be honest, it does have a few side effects. Check out the next section to find out what they are. The chemicals in Kool-Aid can damage chemically-treated or previously colored hair. Since this color is non-pigmented, there are high chances of it blotching highly porous hair. Kool-Aid contains food coloring agents that can damage the hair cuticles if used regularly. The strong fragrance of Kool-Aid can remain on your hair for days. Using this product can mattify your hair and reduce its natural shine. In some cases, the excess amount of sugar in this drink mix can discolor your natural hair color. Now that you know the easiest and most economical way to dye your hair, what are you waiting for? Try it out and let us know about your experience in the comments section below. The best color in this whole world is the one that looks good on you. - Coco Chanel Sitting in the salon for three hours and spending big bucks can be boring and expensive.